Try some of our energy drinks and wellness drinks as an alternative to coffee. Red Bull – Red Bull is one of the most well-known energy drinks out there. It’s also the original energy drink. Studies have shown that Red Bull energy drinks not only provide a boost of energy but that they also improve mental capacity, which makes them a great alternative to coffee if you’re working late into the night. While Red Bulls contain a number of ingredients that are said to help improve energy levels, it’s the caffeine that really does the trick. A single eight-ounce can of Red Bull contains 80 milligrams of caffeine. Wired Energy Drinks – Wired Energy Drinks produces a whole line of different energy drinks. One particularly unique offering is their Wired X B-12 Rush. Not only does one of these cans contain 100 milligrams of caffeine, it also provides 3,000 percent of your B12 daily value and 500 percent of your B6 daily value. This allows for an energy boost that’s more sustained than a lot of other options on the market. Vita Coco – Coconut water is a great way to stay hydrated, but if you’re looking for an energy boost, then consider the Vita Coco Cafe drink. An 11.1-ounce carton of Vita Coco Cafe contains 120 milligrams of caffeine. It also happens to be a delicious blend of coconut water and coffee. There are several different variations available, including Original Latte, Vanilla Latte and Mocha Latte, the last of which actually has a bit more caffeine due to the cocoa powder in it. Bai Drinks – If you’re looking for natural drinks that can provide a caffeine boost but that don’t contain food coloring, chemical compounds or potentially unhealthy additives, then Bai Drinks are a fantastic option. 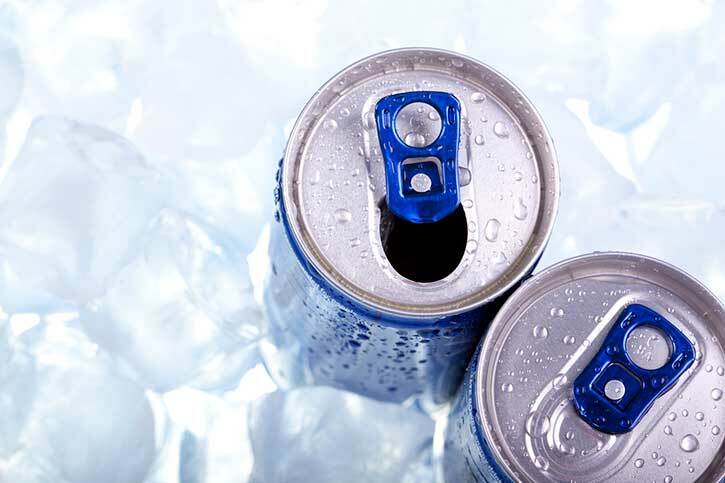 Although they do contain caffeine, they don’t contain nearly as much as most energy drinks do. Each Bai Antioxidant Infusion drink, for example, offers 35 milligrams of caffeine – about as much as a cup of green tea, which is generally enough for a small boost of energy. It can be difficult to get through the day – or to even get the day started on the right foot – without the help of a little energy boost. Fortunately, coffee is not your only option. These are some of the excellent energy drinks and wellness drinks we offer here at Columbia Distributing.